Just like that two months have flown by and you should start 2018 as a year full of untold possibilities. You need to make this year exciting enough to make tough decisions that could have a positive effect on your job. Does this make you part of the 40 percent of Americans that want to really make their resolution count? Well, you could be among the 8 percent that does keep their resolutions but unfortunately most us of us seem to find that we’re nowhere close to those plans. Well, if you haven’t been able to meet those goals in the past then 2018 is the year that you should push hard to succeed and work hard to make some important career decisions. Similarly, you need to step out of your comfort zone, reskill or upskill to stay relevant and make tough decisions that determine the future of your job. What is really important is to review methods to take advantage of these possibilities and make the most of it. With thousands of jobs available in the market, you need to determine the right mix and match of skills to be able to fill the opening for your dream job. Local companies have a lot of variety when it comes to choosing from when looking workers. Most companies would list job postings, have recruitment drives and job fairs and provide assistance to several companies that are looking for qualified candidates. You can either apply through recruitment firms or directly with the company. Also, you should know that there are staffing agencies that perform recruitment and selection processes for organizations. They usually do not have time, resources and expertise to manage employment processes and assist job seekers. There are several companies that spend on Workforce training through training grants to continuously train employees. There is a specific fund set up to assist with training for thousands of employees across the US. There is an option to help with reducing payroll costs, design on-the-job and maintain a valued workforce. You should make it a point to learn from the best and work with a mentor. Determine who makes you enjoy and helps you excel in your work. Can you learn from them? Do these people have a certain amount of positive energy? This infectious energy can help better your career if you let that energy rub off on you. Make the choice to find a career-related resolution. Whether it is to look for a new job, promotion, or venture on your own and start your own business. What you need to do if to get your resume ready and send it out to all the recruitment websites and write a cover letter for each one and for each position that you are applying for. You should enroll on Linkedin and stay in touch with the business community and have your profile updated and professional. Connect with your friends, family, neighbors, and well-wishers to put yourself out there. Also, attend events, meetups, and mixers. What you should know is that nearly 70% of all jobs come through networking. Don’t forget to search on job boards, apply for positions online and respond to potential opportunities that come your way. Relevant searches on company pages, on search engines and applying through the company pages, should be able to help. Look through all the aspects of the job and figure out what you like the most. By doing this, you can do what you find more to your liking. You should find that the project that you are engrossed in, is energizing and not draining. At times, you may seem to like certain tasks unlike coworkers that dislike it and then by understanding this, you have a win-win situation for yourself. Think of it as if you had to write a statement that covers your entire career and encompass you, what would you write professionally and personally? You should take some time to clarify what is your unique career signature and use this statement as a guiding statement to determine who you should be and what you should become. You should recognize what is in and not in your control. By doing this, you can write down things like what stresses you at work and circle things that you can control and cross out those you cannot. Find ways to make solutions to redirect your energy to these problems that you should try to change. Take strides to work on a job that is above your current position. By doing so, you can offer to take on certain roles and responsibilities of a position above you and become familiar with the role and helps you be the obvious choice for the promotion in future. Every year, we tend to not review workforce trends and once we do, we can look at the bigger picture. This helps you get an idea as to whether the market is hiring or not and how effectively we can use these conditions and make better choices. These are usually economic conditions and indicators that provide a positive outlook for the economy every year. In terms of the situation, this will help you determine what are the salaries offered and whether there is a tendency to increase and for employers to invest more in advertising, benefits, training and staffing needs. There are people that look to upskilling and retaining employees by making programs that focus on financial and wellness to prevent burnout and open more cultural awareness and diversity programs. 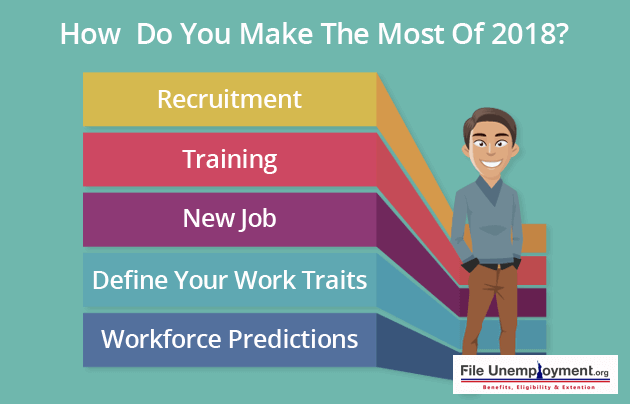 Therefore, you need to find a new job only when the conditions are right and look at efforts to grow your team or create learning programs to assist your efforts. You should take advantage of these opportunities and make the most of it. In time, you should accomplish projects and tasks that you can pull up in your resume. Make sure that you select new projects and those that you can benefit from and what you can do to help quantify your results in terms of your work. You should add these accomplishments in your resume and update it regularly. At work, you should cultivate a habit of making friends with your coworkers that can understand you and appreciate life. You should take time to develop a friendship and build relationships with them. This way you can benefit personally and professionally when you invest time in them and get to know them. Look at the bigger picture and have an overall vision of what your professional life should be. There are small daily steps or tiny pictures that put together make the bigger picture and get you there. When you take a small goal and join a professional organization and find a mentor, you should be on your way to accomplishing these goals in the near future. Make sure this is part of your resolution and work towards it by putting some genuine effort behind this. Most importantly, you should review if you are on the right path and doing what you truly love. Does what you think you should be doing come in the way of what you are currently working on? Well if none of these suggestions work for you and you need to take time to align your career, then do just that. Your personal interests, traits, natural abilities will help you assess your career better and help you determine your priorities. May this year help you choose the best career option that best suits you and give you the job that you are working hard to be a part of. The possibilities are limitless, it’s only time and hard work that will work in your favor and help you truly succeed in everything that you put your mind to. On this note, if you should know what to do when you quit your job voluntarily, and what to consider when you sign a job offer. 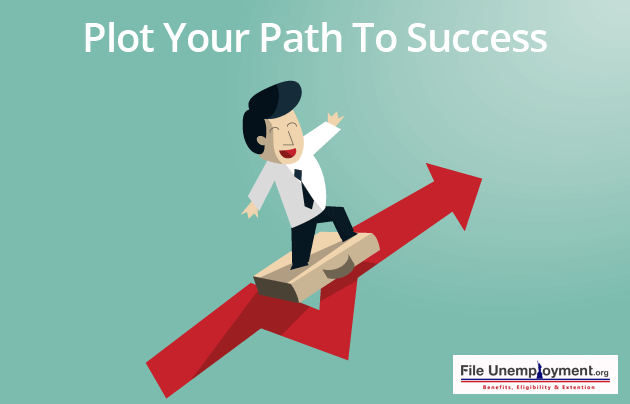 Similarly, if you are looking to start your career then you need to make tough choices when you find your first job, and that you must read the job offer before signing your contract. May this year be filled with opportunities and success!